"I have been wearing New Balance shoes (at $160/pair) for the past 10 years. If they support Trump, I’ve bought my last pair," a now-former customer tweeted. 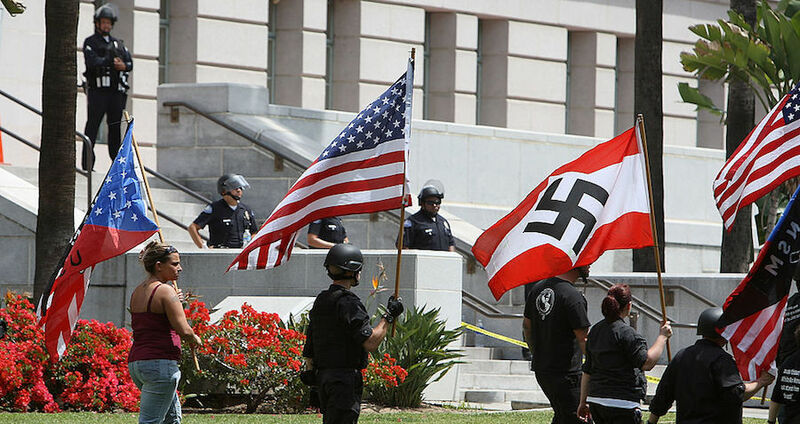 David McNew/Getty ImagesMembers of the National Socialist Movement march in Los Angeles in 2010. The 2016 election cycle has reminded millions just how much race colors our worldview — and apparently also our choice of footwear. Some on the alt-right have now declared New Balance the “Official Shoes of White People,” according to neo-Nazi blogger Andrew Anglin. The announcement comes on the heels of a senior official from New Balance referring positively to President-elect Donald Trump in an interview with The Wall Street Journal. “The Obama administration turned a deaf ear to us and frankly, with President-elect Trump, we feel things are going to move in the right direction,” said New Balance Vice President of Public Affairs Matthew LeBretton. Anglin, who runs the alt-right blog Daily Stormer, seized upon this quote to publish a series of posts describing how anti-Semites and white supremacists should buy New Balance shoes to show their support for their cause. However, whatever Anglin’s beliefs, it seems as though he took LeBretton’s quote out of context. LeBretton was actually responding to a question regarding the Trans-Pacific Partnership trade agreement (TPP), which Trump staunchly opposes, as does New Balance. This is because, based in Boston, New Balance still makes their athletic shoes in the United States, making them the only major company of their kind to do so. Thus, they have said that the TPP would help its competitors who manufacture cheaply overseas and thus hurt New Balance’s business in the United States. In hopes of clarifying this, New Balance has since released a statement on social media in hopes of emphasizing that they only meant “We have been, and will always remain, committed to manufacturing in the United States,” as said to the Boston Globe — but that may be too little too late. It seems both sides of the Trump divide now equate New Balance with white supremacy. 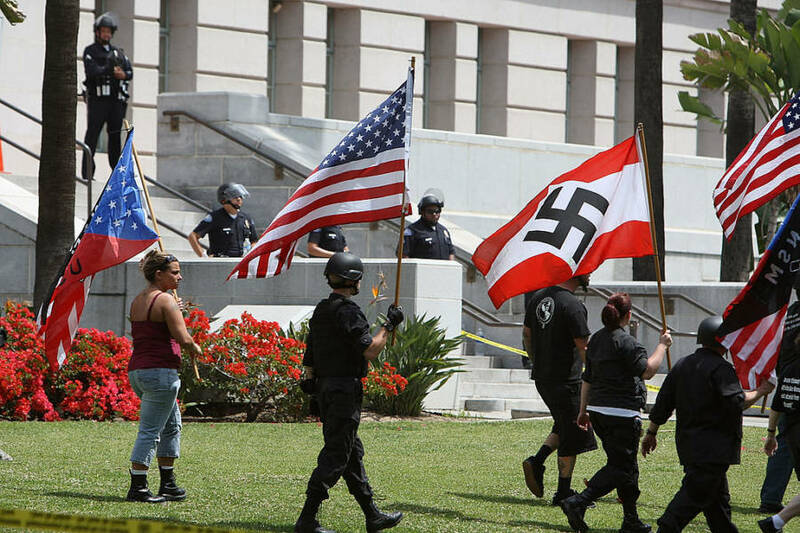 Next, read about the “unannounced” parade that the KKK is planning to throw in celebration of Donald Trump’s victory, before understanding why the KKK’s official newspaper endorsed Trump for President.